Elisa J. Lintemuth’s practice focuses on employment counseling and litigation, commercial litigation, and ERISA litigation. Ms. Lintemuth is experienced in resolving disputes in both state and federal courts. Ms. Lintemuth regularly advises and trains employers regarding their obligations under state and federal employment laws. She assists employers by drafting employment policies and handbooks, and by negotiating employment and severance agreements. Ms. Lintemuth regularly responds to charges filed by employees with the Michigan Department of Civil Rights and the Equal Employment Opportunity Commission and defends employers in employment discrimination litigation. She also counsels employers with respect to pre-litigation investigations, strategy, and negotiation. Ms. Lintemuth also represents employers in labor strikes and in defending unfair labor practice proceedings. 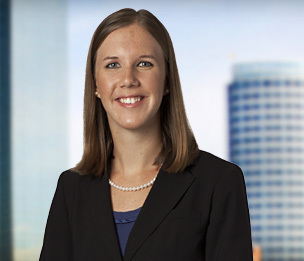 In addition, Ms. Lintemuth has experience and expertise in ERISA benefits litigation. Advising employers on compliance with state and federal employment statutes and regulations including Title VII of the Civil Rights Act, the Americans with Disabilities Act (ADA), the Family and Medical Leave Act (FMLA), the Age Discrimination in Employment Act (ADEA), the Fair Labor Standards Act (FLSA), and the Michigan Elliott-Larsen Civil Rights Act (ELCRA). Successfully defending employers in discrimination and wrongful discharge actions in both state and federal courts, and in administrative charges before the EEOC and Michigan Department of Civil Rights. Defense of ERISA litigation matters involving claims for disability, life, and health insurance benefits and retirement benefits, on behalf of employers, insurers, and claims administrators. Successfully defending claims against some of the nation's largest financial institutions under state and federal laws, including the Fair Debt Collection Practices Act (FDCPA), the Fair Credit Reporting Act (FCRA), the Real Estate Settlement Procedures Act (RESPA), and Michigan's foreclosure by advertisement statute. Representing OEM, Tier 1, Tier 2, and Tier 3 clients in automotive lawsuits, including supplier disputes and tooling recovery. Achieving favorable results in cases involving fraud and other business torts. Ferris Status University Board of Trustees v. Ferris Faculty Association (Mecosta County Circuit Court, 2018). Obtained temporary restraining order within hours of the commencement of a strike by University faculty members and other bargaining unit employees on the first day of classes, requiring employees to return to work. Harris v. TPUSA, Inc., No. 1:16-cv-900, 2018 U.S. Dist. LEXIS 58029 (2018). Obtained summary judgment in a race discrimination case by proving that Plaintiff did not act with sufficient diligence to obtain the benefit of equitable tolling, and the statute of limitations had expired. Holmes v. Aetna Life Ins. Co., No. 16-cv-11538, 2017 U.S. Dist. LEXIS 94258 (E.D. Mich. 2017). Obtained judgment in favor of plan administrator and claims fiduciary in ERISA matter, upholding decisions to deny short-term and long-term disability claims as reasonable and supported by substantial evidence; rejecting plaintiff’s argument that the Michigan bar on discretionary clauses applied; and rejecting plaintiff’s claim regarding failure to timely provide plan documents. James v. Munson Med. Ctr., 2016 U.S. Dist. LEXIS 34278 (W.D. Mich. 2016). Obtained order granting summary judgment in favor of employer in case alleging violations of the Family Medical Leave Act and the Americans with Disabilities Act. Chebowski v. Kelsey-Hayes Salaried Pension Plan, 2016 U.S. Dist. LEXIS 133960 (E.D. Mich. 2016). Obtained order granting judgment in favor of employer and pension plan on plaintiff's ERISA estoppel-based claims for pension benefits. Allen v. WalMart Stores, Inc., 22 F. Supp. 3d 722 (E.D. Mich. 2014), affirmed by 602 Fed. Appx. 617 (6th Cir. 2015). Obtained favorable decision dismissing employee’s claims under the Family Medical Leave Act. Burmania v. Hartford Life & Accident Insurance Co, No. 12-cv-1244, 2013 U.S. Dist. LEXIS 175530 (W.D. Mich. Dec. 12, 2013). Obtained favorable decision in ERISA case challenging discretionary clause in long-term disability policy and received order affirming Hartford's denial of benefits. U.S. Motors v. General Motors Europe, No. 29901 (Mich. App. Jan. 17, 2012 and Mar. 13, 2012), No. 145002 (Mich. S. Ct. Oct. 4, 2012). Successfully defended GM Europe’s interests through all levels of appeal in case alleging breach of contract. Braverman Properties, LLC v. Boston Pizza Restaurants, LP, No. 10-cv-941, 2011 WL 2551189 (W.D. Mich. 2011). Successfully enforced arbitration provision incorporated into parties' agreement. "The Chicken or the Egg: Mental Disability Caps Apply Regardless of Origin"
"Distinction Without Difference? Business Necessity v. Reasonable Factor Other Than Age Under the EEOC's New ADEA Regulations"
"Parental Rights v. Parens Patriae: Determining the Correct Limitations on the Validity of Pre-Injury Waivers Effectuated by Parents on Behalf of Minor Children"
Mortgage Bankers Can’t Get Sixth Circuit To Overturn Jury Verdict For Employer In Overtime Suit Over FLSA Administrative Exemption.